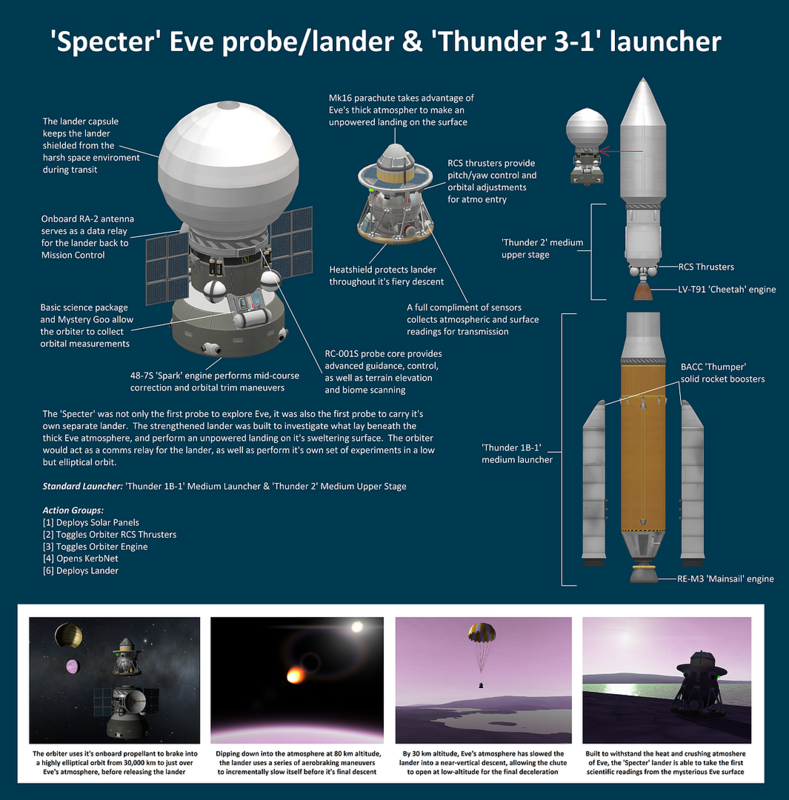 The ‘Specter’ was not only the first probe to explore Eve, it was also the first probe to carry it’s own separate lander. The strengthened lander was built to investigate what lay beneath the thick Eve atmosphere, and perform an unpowered landing on it’s sweltering surface. The orbiter would act as a comms relay for the lander, as well as perform it’s own set of experiments in a low but elliptical orbit.